From workshops to wallets, last week was another winning week of growth in the Bitcoin SV ecosystem. We can be confident that Satoshi’s original Bitcoin can scale and will scale even more than others have dared to believe. When BSV scales, more people and companies will build on top of it, and every week, more and more projects are being built. 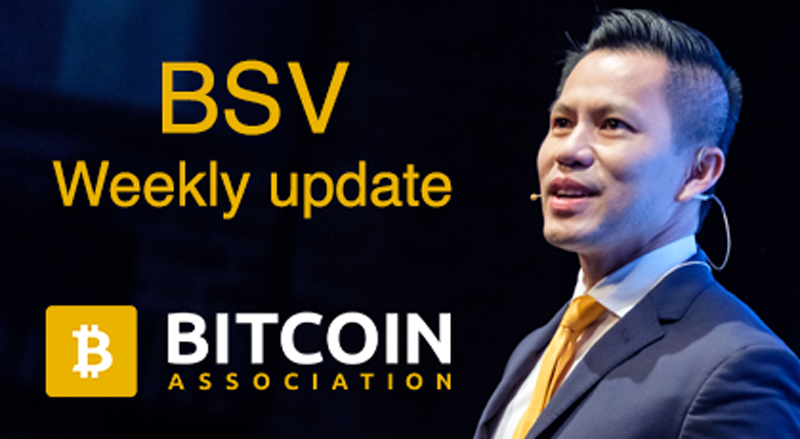 Read on for the latest BSV news. The nChain architecture team recently had an intense week with a three day Teranode workshop in London. Teranode is nChain’s next-level full node implementation for BSV. It will use a microservices architecture approach to enable major enterprise usage of a massively-scaled BSV network with terabyte size blocks. nChain continues its work on Teranode to take Satoshi Vision to the next level. A new application allows users to permanently record local weather and climate data on the Bitcoin SV blockchain. This is yet another instance of a developer using OP_RETURN transactions for real-world use cases. For this reason, our Satoshi Shout-Outthis week goes to creators FNQComputers. 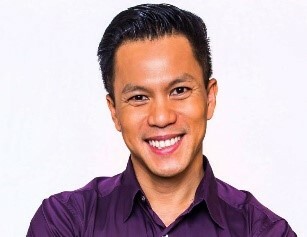 The app, WeatherSV, is created by the team behind Australian IT services firm FNQComputers. As stated by the team in its Twitter announcement, the app has automated weather channels which can be activated from 40,000 live stations and climate data can be stored on the BSV chain forever. The app provides a user-friendly web interface for people to record weather data on the blockchain. Users can record a comprehensive data set including temperature, humidity, wind speed and air pressure. 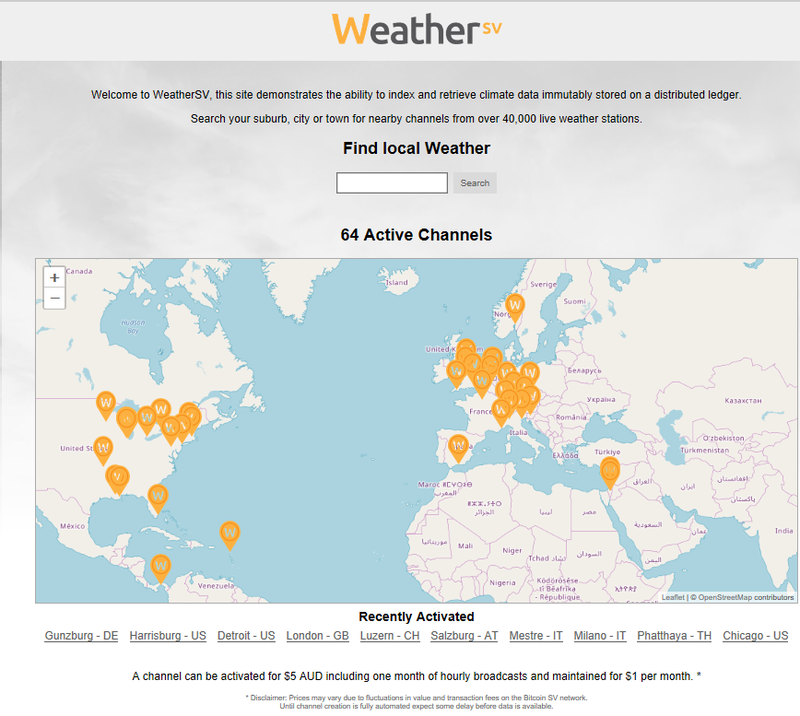 Get onto WeatherSV and activate a channel for your local or favorite cities. The team behind the BSV/Devs developer resource website have hit a major milestone. The site now has 100 developer resources listed. 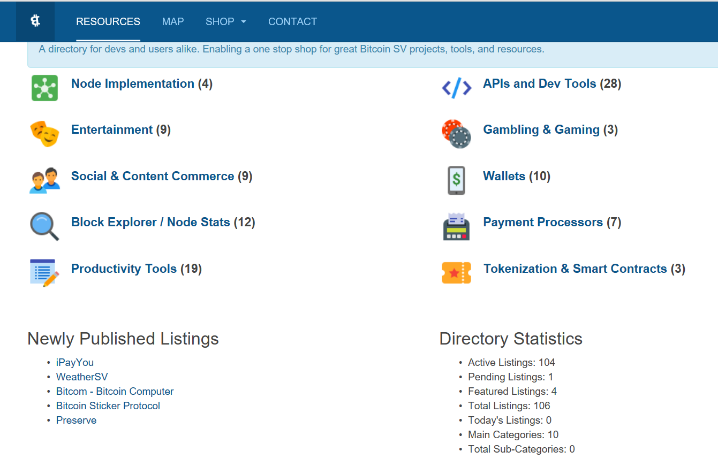 BSV/DEVS provides a valuable and easy to navigate list of resources for BSV developers to access and keep track of the many new innovations being built for BSV. As stated on its Twitter account when announcing this 100 resource milestone: “This is a testament to the amount of growth Bitcoin SV has experienced in the last few months, and the effort the ecosystem is putting to seeing the realisation and power of the original protocol”. 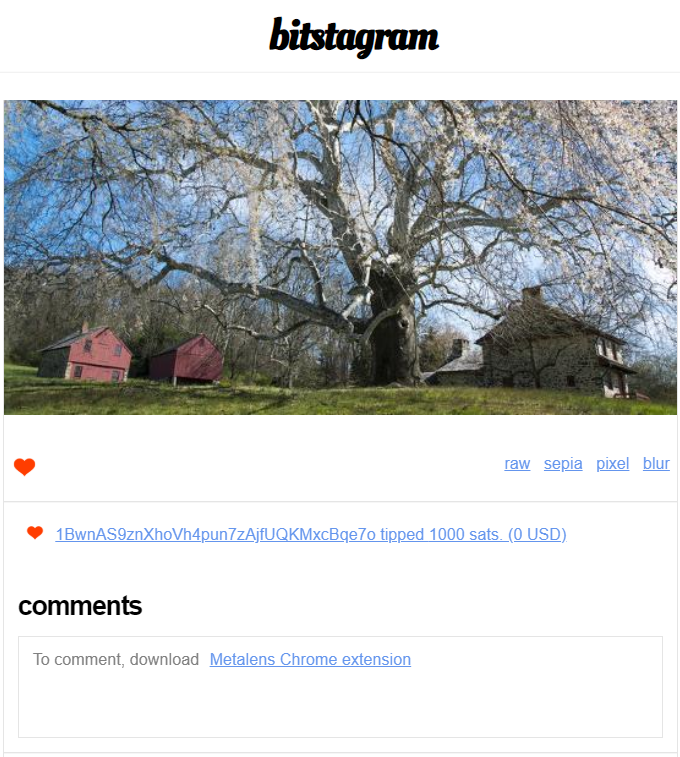 User comments on photos are now available on Bitstagram, the Bitcoin SV native photo app. Each post now has a built-in comment widget which lets users comment on posts using the Metalens chrome extension. This extension has been created by twitter user @wildsatchmo and allows users to comment on images for free once they have installed the extension. Created by twitter user @deggen, there’s now meme generator for the BSV blpockchain. It uses the Bottle browser. The generator allows you to create memes, and other users to comment on them. 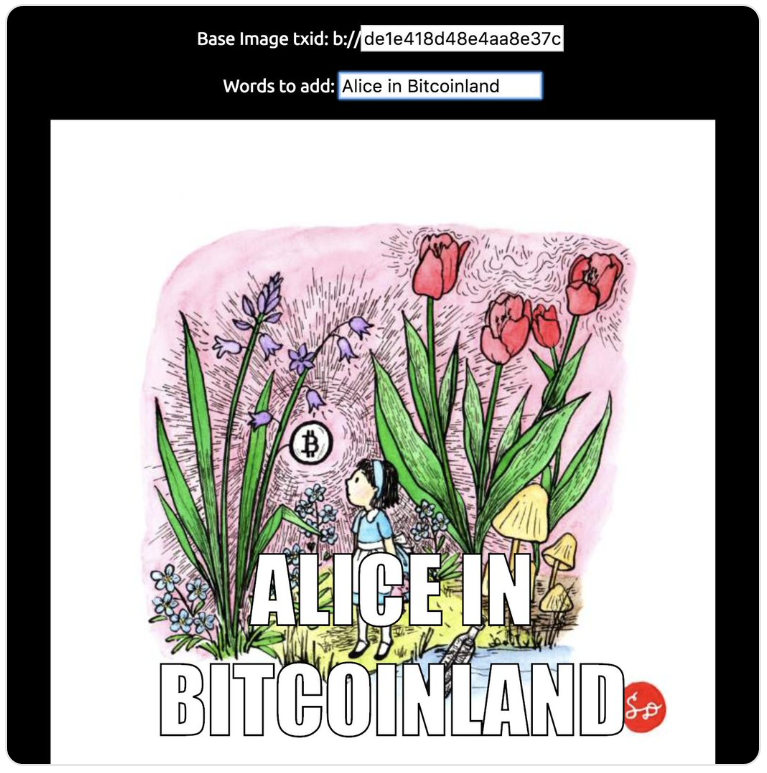 The generator works with any b:// image transaction ID (txid) and you then add words to quickly make memes. Once you’ve written a one-liner, you just simply share with the link that appears below the image and people can leave comments that attach to the base image URL.